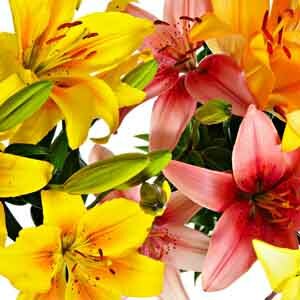 A beautiful cross between Asiatic and Trumpet Lilies. Asiflorum Lilies produce flowers similar in form to the Trumpet Lily but smaller in size, with more flowers per stem, and in a wide array of colors. Easy-care plants put on a spectacular show in the summer garden.